If God hears all of our prayers concerning our marriage, then why are they not all answered? We need to blame ourselves if our prayers seem unanswered. We must BLAME ourselves because of our motives, our pride, and our prayerlessness. The first reason for God not answering prayers is that we ask for selfish reasons. Our human acts are many times based on selfish MOTIVES. James acknowledges that the problem of unanswered prayer is us. James 4:3 “Ye ask, and receive not, because ye ask amiss, that ye may consume it upon your lusts. CASE AND POINT: Many years ago we heard an evangelist preach on faith. 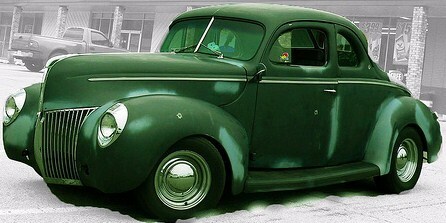 He said, “Don’t bother the father for a 44 Ford.” In other words, have faith for something great! If you are going to pray for a car, pray for a brand new good running car. I remember thinking it was the funniest sermon I had ever heard. But I still remember his words. We are to pray and ask God for a good Godly marriage and believe it will happen. Many times you may look at your spouse and think that change will NEVER happen. When I first got saved, there were things that I wanted changed in my husband. God told me I won’t see any change in my husband till I changed my ATTITUDES. My prayers were asking “a miss”. I was praying selfish prayers with selfish motives. I wanted everything MY WAY to make my life easier. That was not Gods will for my life. God wanted me to be CHRISTLIKE, not Nancylike. That meant that in order for me to become Christlike, I had to go to God everyday to help me through my issues. I needed to partner with the Holy Spirit in order for me to DIE to self. Life became very hard and Christianity was an uphill battle for me. It was uphill because I didn’t want to die, my flesh wanted to RULE. I continued with my selfish prayers till I made the decision to do it Gods way. If you line your marital prayers up to Gods word, you will get a “yes” from God every time. Get on the same page with God. He desires to ANSWER all the prayers he is listening to from you. He is waiting for your prayers to line up with His word. NOTE: Tomorrow the post will continue on with the other two reasons your prayers are not answered.